Baby Loss Awareness Week finishes each year on October 15 with the global ‘Wave of Light’. October 15 is also International Pregnancy and Infant Loss Remembrance Day and is recognised across the world. 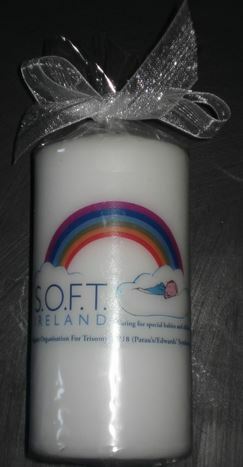 SOFT would like to invite you to join with other families and take part in the global ‘Wave of Light’. Simply light a candle at 7pm local time on Monday and leave it burning for at least 1 hour to join us in remembering all babies that have died too soon.